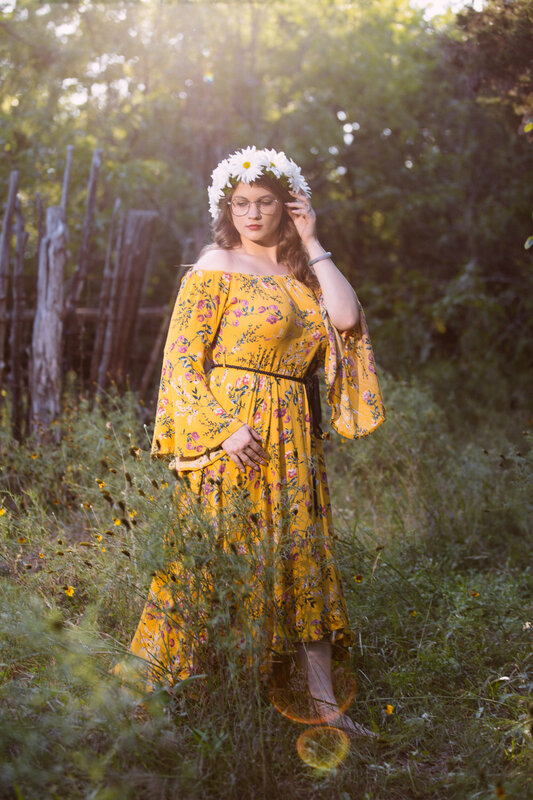 Brushy Creek Park is one of my favorite places to shoot because it has sweeping fields of wildflowers, groves of shady trees and a cool creek. 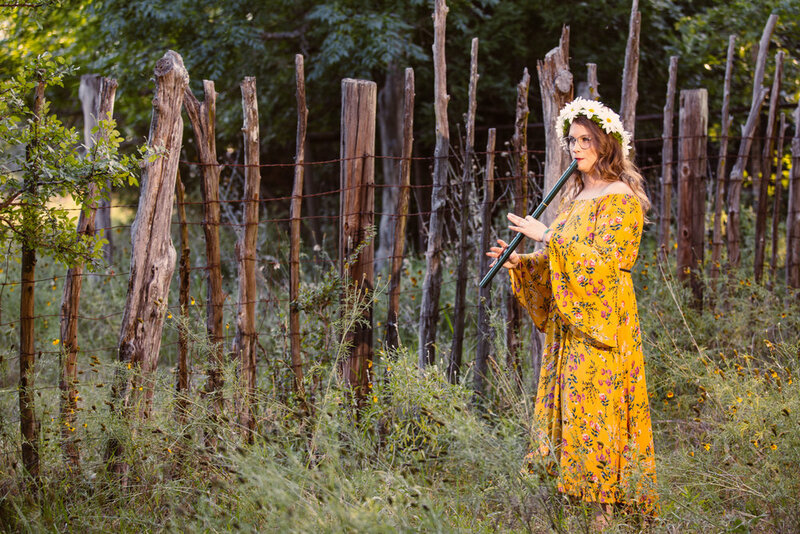 It's the perfect location for 70s inspired glamour portraits for a folk musician. 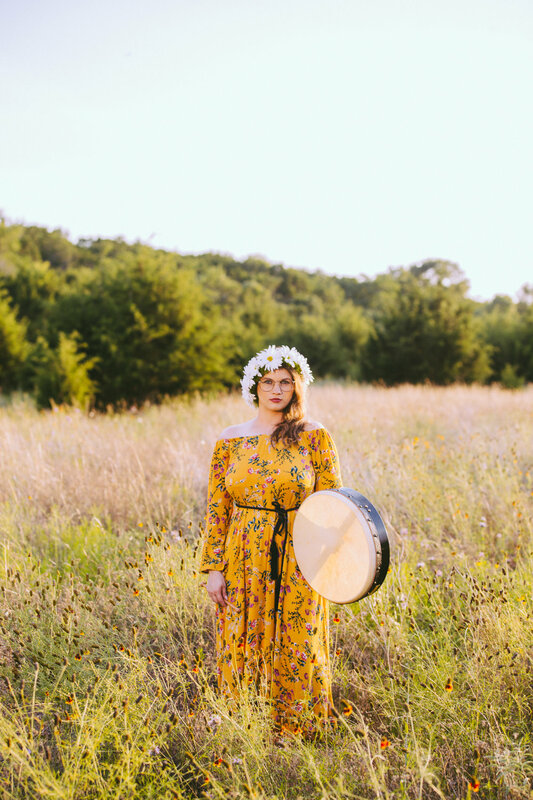 A flower crown, the perfect yellow dress, and the Irish tin flute and Irish drum made for gorgeous portraits. 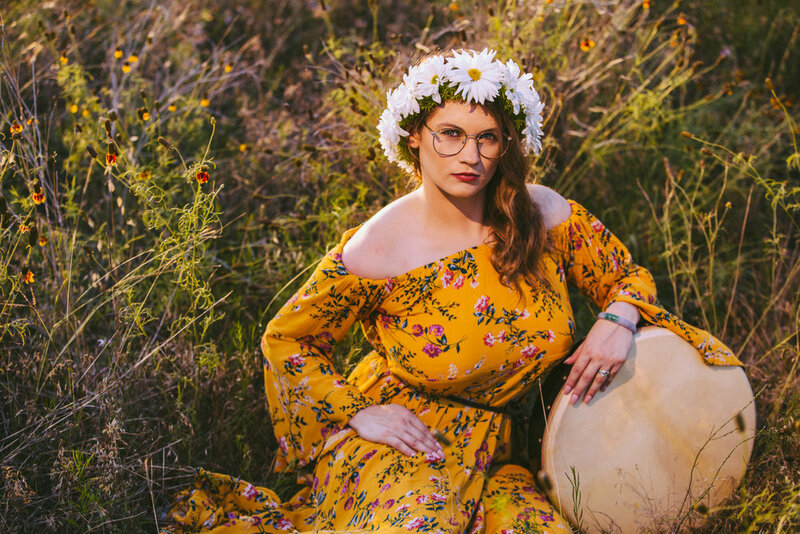 Want your own glamour portraits? 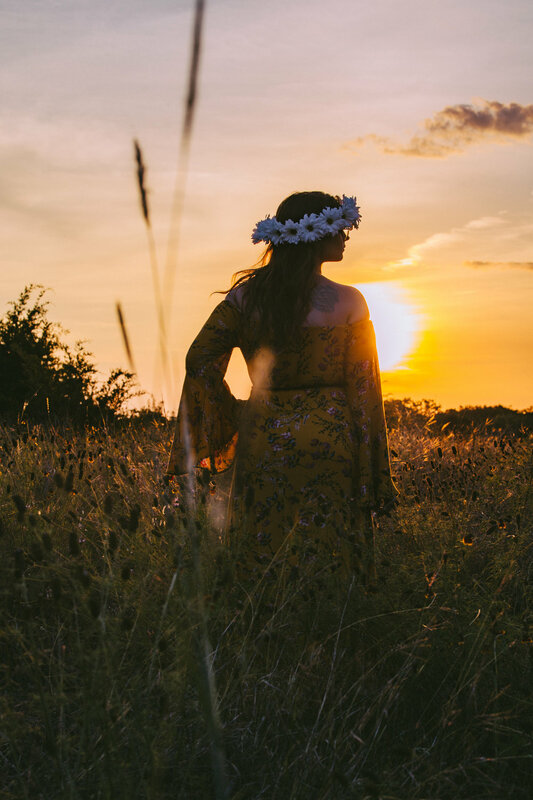 I'd love to work with you to create something beautiful, sensual and uniquely you. Click below to contact me and get started on making your dream shoot a reality. Alex & Allyson and their two cute offspring met me downtown Austin for a fun afternoon of walking around Congress street. Lots of color for this graphic designer family during a quick mini session.